New Orleans cuisine is one of the many attractions drawing thousands of visitors to the Big Easy each year. Menus dedicated to Cajun, Creole, and southern Louisiana soul food burst with flavorful entrées. Po’ boy is the signature sandwich of New Orleans. Louisiana fried catfish, dirty rice, boiled seafood, jambalaya, oysters Rockefeller or charbroiled oysters, turtle soup, and countless other regional dishes are regular palate pleasers. Visitors to New Orleans in search of haute Creole cuisine will find their nirvana at Commander’s Place in the Garden District. This 1893 landmark restaurant has garnered significant recognition and won innumerable culinary awards, including six James Beard Foundation Awards. Restaurant R’evolution has six one-of-a-kind dining rooms ensuring that all guests can find their perfect ambiance. Each is adorned with designer drapes, comforting colors, exceptional lighting, authentic artwork, and extraordinary white china. The atmosphere of the restaurant is exceeded only by the food, conceptualized by world-renowned chefs John Folse and Rick Tramonto. 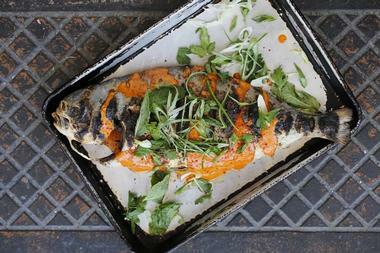 Their award-winning cuisine can best be described as a stylish and inventive twist on classic Cajun and Creole cuisine. Guests will enjoy everything from seafood gumbo to sheep ricotta gnocchi with lobster, perfectly paired with fine wines from their 10,000-bottle cellar, or one of the eclectic libations featured at Bar R’evolution. 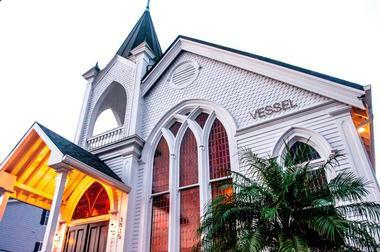 Vessel is an elegant concept restaurant in New Orleans' Mid-City area, located within a spectacular restored 1914 church. The restaurant, which was opened to the public in 2016, taking over the space formerly occupied by Christian's, features beautiful stained-glass windows and stunning architecture, with a century-old ceiling modeled after the hull of a ship. Brunch and dinner menus emphasize dishes prepared with locally-sourced seasonal ingredients, focusing on delicious Southern comfort fare such as shrimp and grits, bourbon-glazed pork chops, and market-fresh fish catches. Classic cocktails, beers, and wines are poured into 12 unique concept glassware types, playing on the restaurant's name and church history. 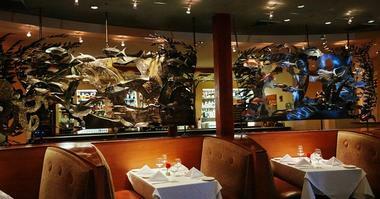 Red Fish Grill, a casual seafood restaurant, is located at the entry to the French Quarter. The renovated 19th-century building that houses it embodies the theme of the restaurant with exterior fish fin wall sconces, fishing line and bait, and anchors. The interior, designed by local artist Luis Colmenares, complements the outside with the main dining room walls adorned with neon metal fish. Jacques-Imo’s Café is a dream realized by Jacques Leonard, an upstate New York native raised by a French mother and Italian father. He grew up learning the cuisine of both countries, which gave him the building blocks for becoming the renowned chef he is today. Once stationed with the military in New Orleans, he fell in love with the city. He began his career learning ‘Nawlins’ basics from Chef Paul. By 1996 he and his wife had purchased the restaurant and designed the eclectically colorful interior along with the diverse Nawlins’-style menu. Visitors will enjoy interacting with this quirky chef while eating his delicious creations, such as Cajun bouillabaisse. Katie’s first opened its doors in 1984 as a family-owned and operated corner lunch hot spot founded by former oil man Leo Leininger, who named the restaurant after his mother. It changed hands in 1993 when the Craig family – mother Mary and sons Scot and David – purchased it. The restaurant was a neighborhood icon until it was devastated by Hurricane Katrina. Over the next five years, Scot worked tirelessly to open Katie’s doors once more. 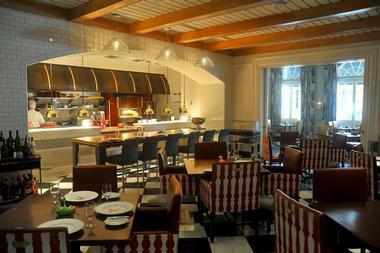 With a revamped look and state-of-the-art equipment, the restaurant is now thriving once more. Visitors can dine on everything from po’ boys to catfish meuniere in this neighborhood favorite. Drago’s has been sourcing oysters from Louisiana’s Croatian fishermen since 1969. The family-owned restaurant serves up a range of New Orleans favorites from po’ boys to fried catfish, but their specialty is charbroiled oysters. In fact, they are the originators of charbroiled oysters in New Orleans. Diners can experience these flavorful oysters at the original Drago’s in Fat City (Metairie) and at the Hilton New Orleans Riverside as well as at a third location in Mississippi. If that’s not enough, tailgaters can catch their Drago’s Charbroiling Engine at New Orleans Saints games or order their Charbroiled Oyster Kit (CBO) for private backyard grilling. 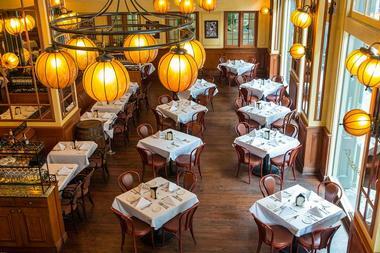 The landmark Bourbon House restaurant is home to the New Orleans Bourbon Society (NOBS) and to some of the most creative oyster platters in the city. 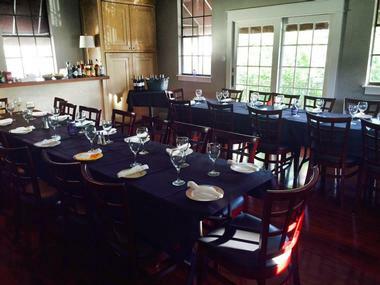 NOBS and the master bourbon distillers regularly host dinners, tastings, and other events at the restaurant. Catch all the action of Bourbon Street through the restaurant’s giant sidewalk-facing windows as you dine from an upscale menu that includes entrées like their New Orleans barbecued shrimp or the chef’s Gulf fish du jour. The restaurant has also earned local accolades for its ‘Best Seafood Platter in New Orleans’, while brunch, and now the ‘Boozy Bourbon Brunch’, are lively must-do events. Casamento’s is a classic neighborhood oyster bar that has been building a stellar reputation in New Orleans since 1919. Their advertising is by word-of-mouth, and they’re almost always packed. The local faithful and a long list of celebrities, from Peyton Manning to Robert Duvall, love this place. The menu is overflowing with oyster and seafood choices, but their signature menu item is their famous oyster loaf. New Orleans Magazine listed Casamento’s oyster loaf as #1 on their ‘Top 10 New Orleans Favorites’ list. Trophy-garnering shuckers work with lightning speed, and diners get to watch the process from shell to delicious first bite. Deanie’s Seafood restaurant is a symbol of the fishing village that spawned it over 40 years ago. Across the 17th Street Canal, Bucktown has held on to its tight-knit fishing community persona as tightly as it has to the casual family atmosphere of Deanie’s Seafood. Here, guests will find the traditional taste of fresh and boiled Louisiana seafood and Cajun/Creole dishes dominating the lunch, dinner, and kids’ menus. There are gluten-free menu options as well. 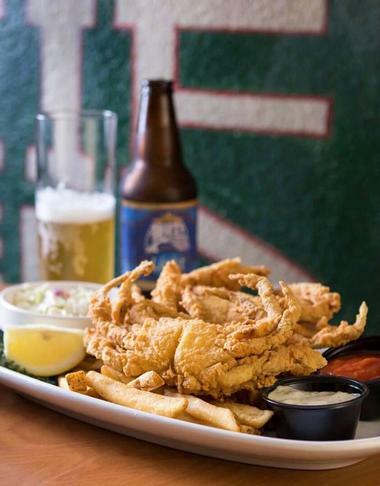 For a decade, Deanie’s has had a second location in the French Quarter, and of course there is still the seafood market that started it all next to the Bucktown restaurant. Middendorf’s Restaurant has a long family history dating back to 1929, when Louis Middendorf moved his family back to his wife Josie’s hometown in Manchac, New Orleans, after the market crash. Over the years, the restaurant was passed down through the family, featuring all the original recipes from Josie herself, including the famous house specialty, thin fried catfish. 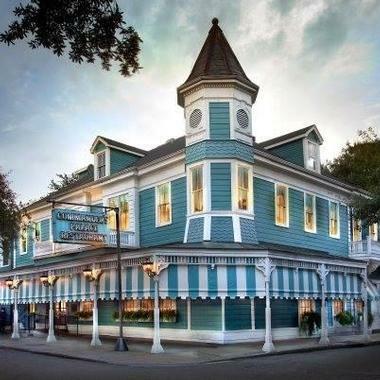 In 2007, with no family to pass it on to, the restaurant was purchased by New Orleans couple Horst and Karen Pfeifer. They continue to serve up the famed fried catfish and Josie’s other dishes, while also adding a few of their own. Parkway Bakery & Tavern has been open since 1911 and serving up po’ boys since 1929. After more than 100 years, it remains a family-run business to this day. Founder Jay Nix and Head Chef Justin Kennedy have won several awards and have been featured on television for their exceptionally delicious po’ boy sandwiches, such as the Golden Fried Catfish and Parkway Surf and Turf. Diners can get a taste of history with their 1929 Potato or Sweet Potato Po’ boy, the first they made to feed the street car workers who were on strike. To commemorate their visit, guests can stop in the restaurant photo booth. 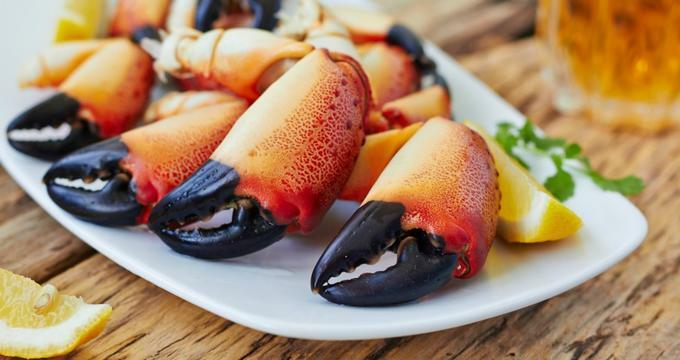 Pêche Seafood Grill, located in the Warehouse District, is a coastal seafood restaurant that offers an extraordinary approach to Old World cooking styles in a modernized environment. The ambiance matches the premise behind the cooking style: Old meets new. Rustic tables, chairs, and awnings juxtapose modern light fixtures, brick walls, and warm natural tones. Chefs Donald Link, Stephen Stryjewski, and Ryan Prewitt utilize an open hearth over hardwood coals to create their compelling dishes. Guests can get a unique perspective with the open kitchen, featuring an eye-level view of the fire cooking up delectable eats such as crab and jalapeno capellini and seafood gumbo. Crabby Jack’s is one of New Orleans’ most popular down-home Cajun lunch restaurants. 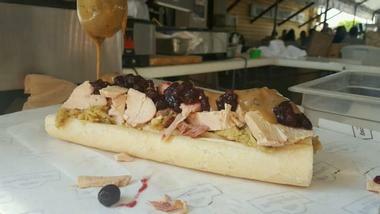 Their specialty is po’ boy sandwiches, and they have a lot of them. Diners and critics alike heap praise on this casual po’ boy shop. Guests can also expect other New Orleans favorites like shrimp creole with rice, Andouille sausage gumbo, fried green tomato salad, and crispy fried chicken. Lunch platters featuring shrimp, oyster, catfish, calamari, and blackened Gulf fish are all local crowd pleasers. 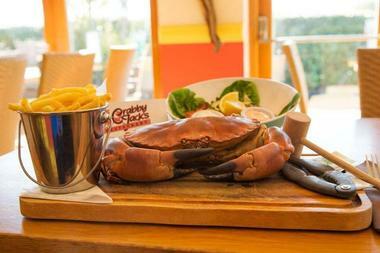 The restaurant has a casual modern and friendly ambiance, with Crabby Jack (Jacques Leonardi) often working the lunch crowd. G W Fins restaurant is a beautifully appointed fine-dining establishment featuring stunning metal sculptures of underwater depictions. Fishnet curtains, white linens, and fine artwork further create an elegant ambiance. Local owners Gary Wollerman and Chef Tenney Flynn have a reputation for being meticulous and providing high-quality seafood. Chef Tenney has even been referred to as ‘the Fishmonger Czar of the South’ by The Wall Street Journal. They believe in the simple philosophy of ‘nature writes our menu’. In keeping with this message, the menu is developed and printed daily based on the fresh fish delivered. Each dish can be perfectly paired with one of their over 100 wines. 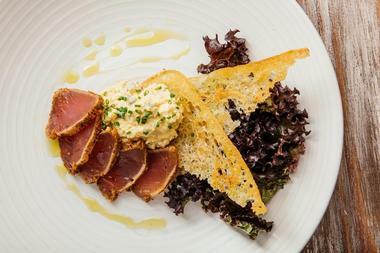 Borgne is a casual seafood restaurant inspired by a lifetime of fishing Lake Borgne and the local waterways. The menu is built upon sustainable local seafood transformed into delectable classic New Orleans dishes with Isleño influences. This is the place to find rare Gulf delicacies alongside traditional New Orleans classics in a casual atmosphere. Guests can expect entrées like Black Drum a la Plancha with brown butter, pecans, and jumbo lump crab, or Fish in a Bag with caramelized fennel, spinach, tomato, and crab fat. The restaurant, which opens late morning every day, offers flat-fee daily lunch specials ranging from red beans and rice to smothered catfish to Louisiana rabbit ragout.